The DC Ranch community is located in coveted North Scottsdale and resides on over 8,300 acres. Incredibly, 4,600 acres of this community will remain protected in the adjacent McDowell Sonoran Preserve leaving the beautiful desert landscape untouched by development. Paths and trails connect residents with both pristine desert land and each other, adding to the vibrance of the community. The neighborhoods of this community are built to embrace the flow of the landscape and to keep the beauty and tranquility of the desert so that they flow with the contours of the land. Xeriscaping, which requires little water, is used throughout the majority of the DC Ranch neighborhoods. Centrally located in Scottsdale, Arizona, the DC Ranch community is just minutes from high-end shopping, world-class entertainment, and luxury real-estate. A highlight of the DC Ranch area is the prestigious DC Ranch Market Street. Here you will find a huge variety of culinary offerings from award-winning prime beef, coal-fired pizza, sandwiches, to salads, coffees, and much more. For the shoppers, the unique shopping boutiques and specialty stores, combined with community conveniences create this distinctive retail district. The Country Club at DC Ranch is North Scottsdale's premier private golf and country club, from the superb golf course to the six tennis courts, fitness center, grand event courtyard and more. Located at the base of the McDowell Mountains, this area truly reflects the history and charm of its beginnings as a desert camp cattle ranch in the early 1900's. 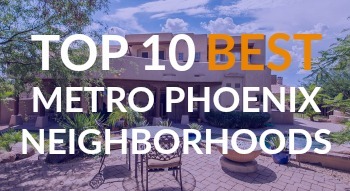 This north Scottsdale community of DC Ranch is located within the boundaries of the excellent Scottsdale Unified School District and boasts a neighborhood school for grades K-8 at Copper Ridge Elementary and Copper Ridge Middle School while the well respected Chaparral High School accommodates high school students. 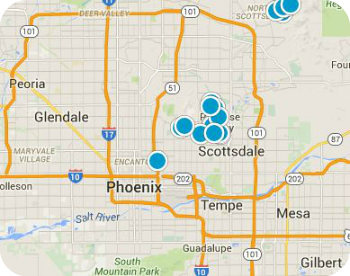 Buying or selling a home in Scottsdale's DC Ranch neighborhood? We have the complete MLS inventory of DC Ranch homes for sale. Sign up for new listing alerts and be the first to see the latest DC Ranch homes as soon as the hit the market.